one thing I forgot to comment on was that I got my polymer clay mask swap masks earlier this week. This is my second year participating in the swap run by Sarajane Helm. 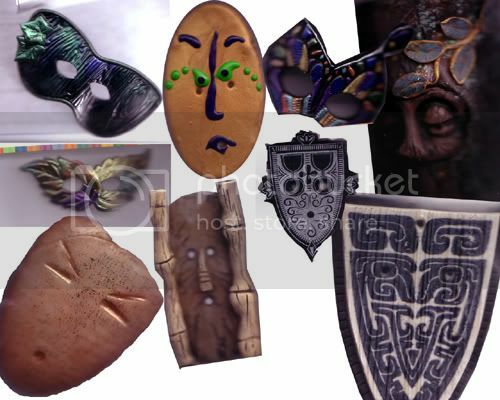 The idea of the swap is, everyone makes 10 masks out of polymer clay (the same general mask) and sends it back to the swap leader. She then organizes it such that everyone gets one of every mask made, and sends the newly formed groups back to each swapper.